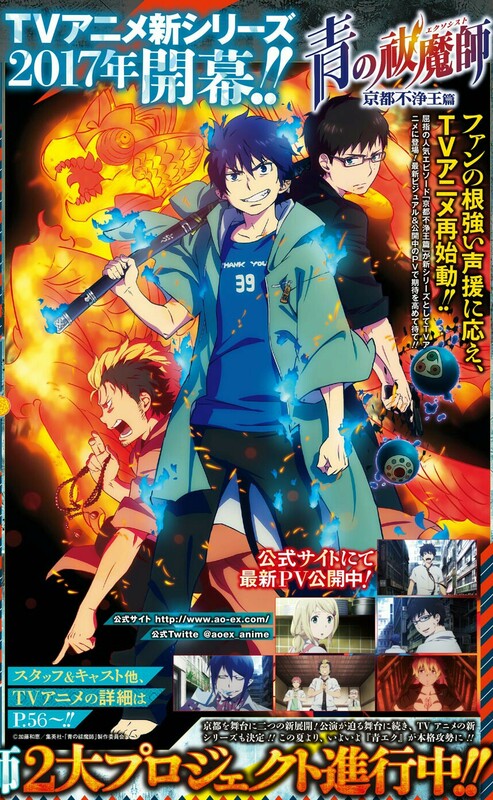 The Shueisha’s Jump SQ magazine recently announced that Blue Exorcist: Kyoto Impure King Arc (or Ao no Exorcist: Kyoto Fujō Ō-hen) tv anime series will premiere in January 2017. Blue Exorcist’s second season and Kyoto Impure King Arc will air on MBS’s “Animeisn” block. If you haven’t seen the teaser trailer yet, you can watch it below, also a new promotional video/teaser will air on Tuesday, be sure to look out for it. With the great news that we’ll get Blue Exorcist 2 in January, which isn’t too far away, there is a lot of hype building up for the series. 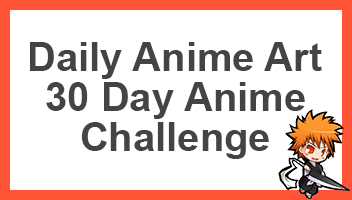 I personally can’t wait for the anime after watching the anime so many years ago. Nevertheless, the latest season shall definitely be awesome. So what do you think? Go ahead and comment down below telling me and others what you think. I can’t wait to watch this !!!!!!!!! Omg omg omg!!!!! I can’t wait to see there expressed still to know that ran is Satan’s son! I loved it when he revealed that he was Satan’s son! I didn’t think this was going to get another season. Can’t wait to watch it! I’m really curious as to how the second season will go, namely since they branched off from the manga towards the end of the first season. The promotional video looks so good though! And pretty on point with the events in the manga. Awesome, that’s pretty soon! I’m looking forward to this one and I thought that the first show was pretty fun. It may have diverged which weakened it a bit, but with the events going back to the manga version, it should be hype!